Betrayed, Morric McShayne, a bloodline elemental witch, wakes during a lightning storm, bound to a post—the latest sacrifice to appease a dragon. 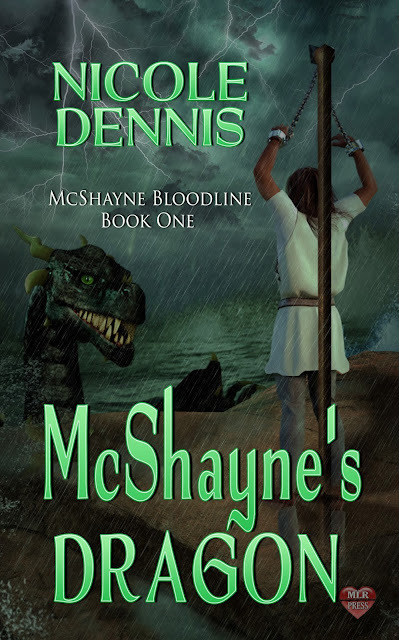 He swears to survive as the last McShayne and there is no dragon until a powerful claw plucks him away from the precipice. With every equinox, the dragon’s keeper, Xavier, pushes back the loneliness. The keeper holds a secret until magic flares. This sacrifice is different. They battle desire and duty. When a single kiss changes everything, can the Fae help them answer more secrets and a legend’s promise? Do they fight against Fate’s choice? Magic passed through ancient bloodlines for generations. A powerful family gifted with Elf and Fae magic and natural human magic, the McShaynes watched over the balance of nature. 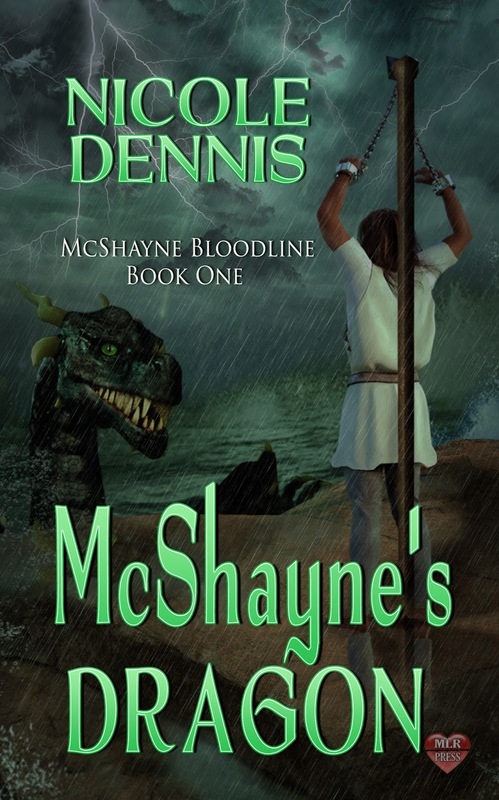 While the Otherkin receded from any human connection, the McShaynes refuse to leave their ancestral lands and blend with humans. Until the humans turn against magic. Four McShayne sons spread across the lands. Each one fears he is the last, unknown to each other. They fight to survive the harsh atmosphere, maintain their bloodline gifts, and discover love and family. A quiet one, Nicole Dennis curled up with the latest book of a favorite author. Since the beginning, characters were in her head, worlds building themselves, and stories written. Now she can let others into her imagination and worlds that always celebrate the love between two or more people within LGBT, paranormal, and fantasy. I agree, dragon books are awesome. This is book 1 in the series? Love dragons! Thanks for the cover reveal.